This article is based on a personal experience. No, it's not meant to make you misty-eyed or something. 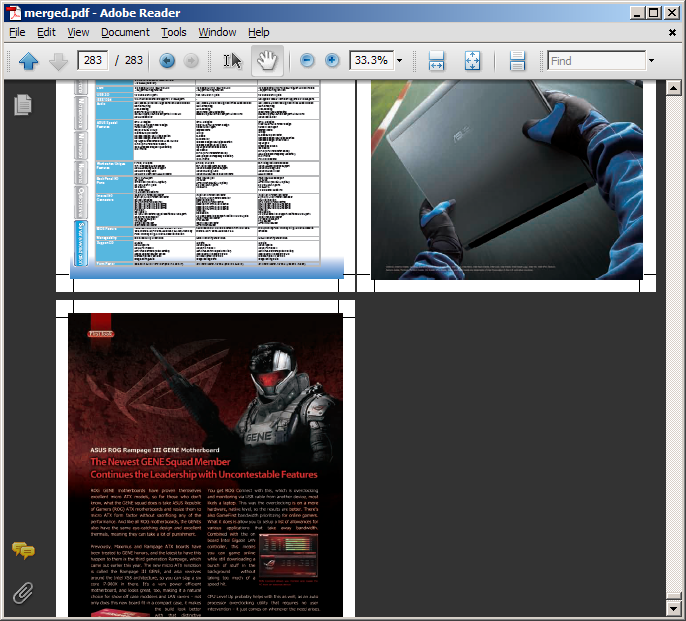 This is just to illustrate how PDFOne .NET can help you accomplish real-life PDF-related tasks. That's it. Being an hardware enthusiast, I like to read hard copies of ASUS World magazine that our office gets by post. One day, I went to the ASUS website hoping to get a newer copy of the magazine. The site gave me a ZIP download containing not one but several PDF documents! These PDFs were heavy and opening them individually was not very conducive for casual browsing. I then decided to merge the documents together using one of our PDF tools. Here are the steps for my PDFOne .NET solution. Open Visual Studio and create a C# Forms application project. 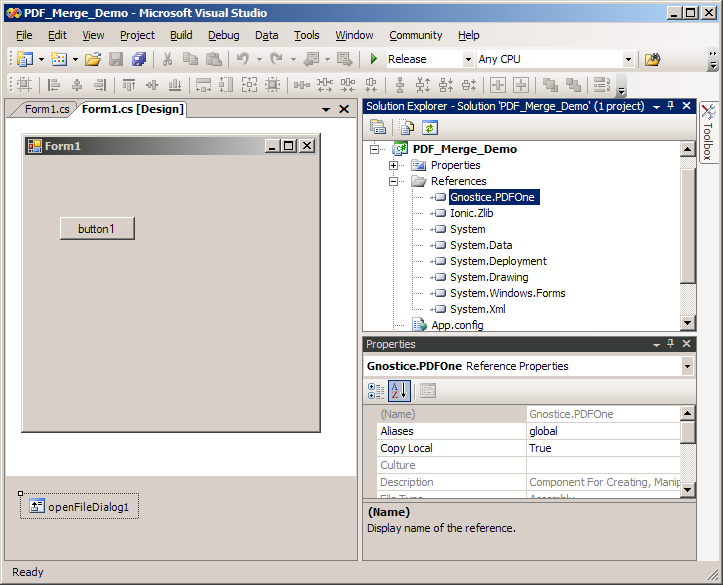 Drop a "File Open Dialog" Windows component ( System.Windows.Forms.OpenFileDialog) on the form. Drop a button on the form and add this code for the event handler. 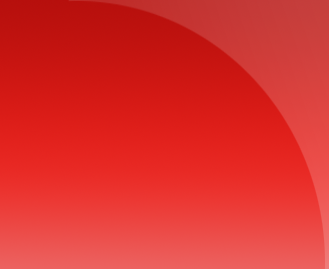 Add a Using directive for Gnostice.PDFOne so that the above code compiles. 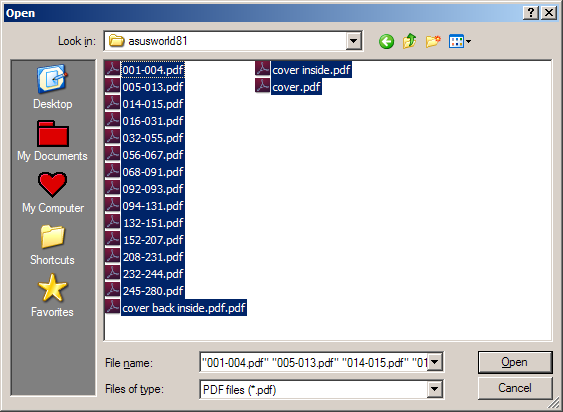 Click the button to display the "File Open" dialog. Select PDF documents that need to be merged and click OK to begin the merge operation. The PDFDocument.Merge() method accepts an array list containing the pathnames of the PDF documents that need to be merged. Calling this method, merges the document into one file. Here is the output I got. Sweet!